The weather outside is frightful, but baking inside is delightful. 1. A cookbook filled with 100 mouthwatering desserts from the mastermind behind Sprinkles Cupcakes — so you know these recipes are legit. Get it from Walmart for $15.93 (originally $26). 2. 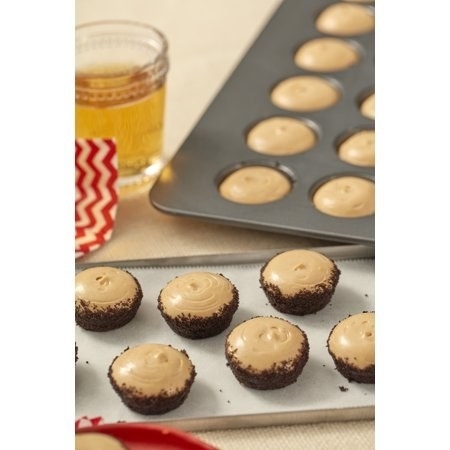 A six-piece non-stick bakeware set to whip up delicious creations, just in time to help you out with holiday baking. Get it from BuzzFeed's Tasty line, exclusively at Walmart for $28.09 (originally $42.88). 3. A KitchenAid stand mixer that'll have you baking a long, long time. Why's that? Because this thing lasts a long, long time, and is worth every.single.penny. Get it from Walmart for $253.88+ (available in 12 colors), or Jet for $379.99 (available in three colors). 4. A brownie pan with a slicer for pre-sliced treats right out of the oven. It makes it easy to customize each piece, or to leave them as-is and just easily pop 'em out. Plus, no more fighting over whose brownie slice is bigger. You can mix your batter inside the pan! 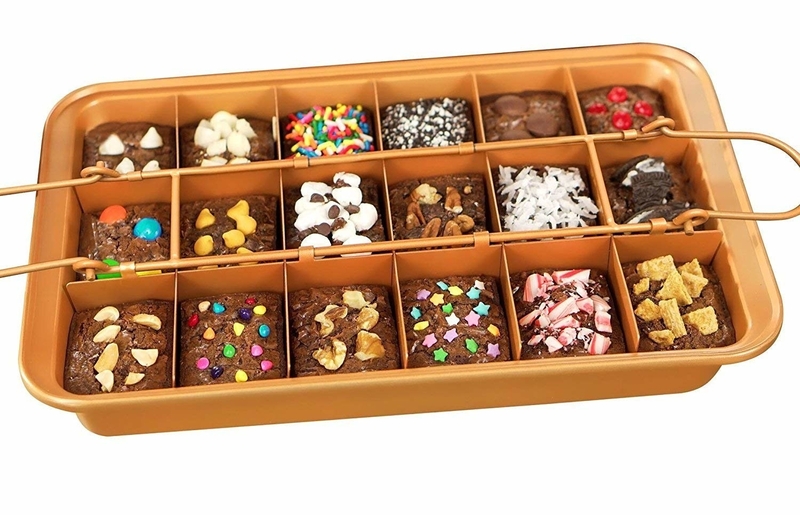 Pan has a non-stick surface and the slicer allows for making 18 perfectly sliced brownies. Get it from Walmart or Jet for $16.88. 5. A melamine bowl and baking set filled with baking essentials to make prepping your recipe easy and super colorful. Set includes 7 qt. mixing bowl with lid, silicone spatula, silicone whisk, silicone spoonula, a five-piece measuring spoon set, and a five-piece measuring bowl set. The whisk, spatula, and spoonula all have silicone heads that are safe to use on delicate and non-stick surfaces. The measuring bowls and spoons are color coded, and the melamine bowl comes with a lid for easy storing. Get it from BuzzFeed's Tasty line, exclusively at Walmart for $19.96. 6. A two-pack of silicone baking mats that'll prevent unwanted sticking so you can spend more time eating the cookies and not wrestling them off the sheet. Mats are FDA- and LFGB-approved, BPA-free, and perfect for baking, roasting, and freezing. Get them from Walmart for $13.99 (originally $16.79). 7. A dessert decorator for tricking people into thinking the dessert you brought over is from the fancy schmancy bakery down the street, rather than from your fancy schmancy kitchen. Comes with five decorating tips, a convenient thumb lever, and a pull-out plunger. Get it from Jet for $7.99 (originally $14.99). 8. A balloon whisk to quickly combine your ingredients so you can get the batter baked quicker, ya know, because you're gonna want to eat your yummy creations soon. The silicone is heat-safe for temps up to 500 degrees. This is dishwasher-safe, but hand-washing is recommended. Get it from Walmart for $5.50 (originally $10.99). 9. A two-pack of non-stick springform pans — they'll help you make the best type of cake there is — CHEESECAKE. If you were thinking of a cake other than cheesecake, that's a conversation to have another day. Pans are made of carbon steel that bakes and browns easily and non-stick coating that is BPA- and PFOA-free. IT features a heavy-duty, quick-release latch side clip with a separate bottom piece that can be removed. Plus, the pans are dishwasher-safe! Get them from BuzzFeed's Tasty line, exclusively at Walmart for $13.99 (originally $19.99). 10. 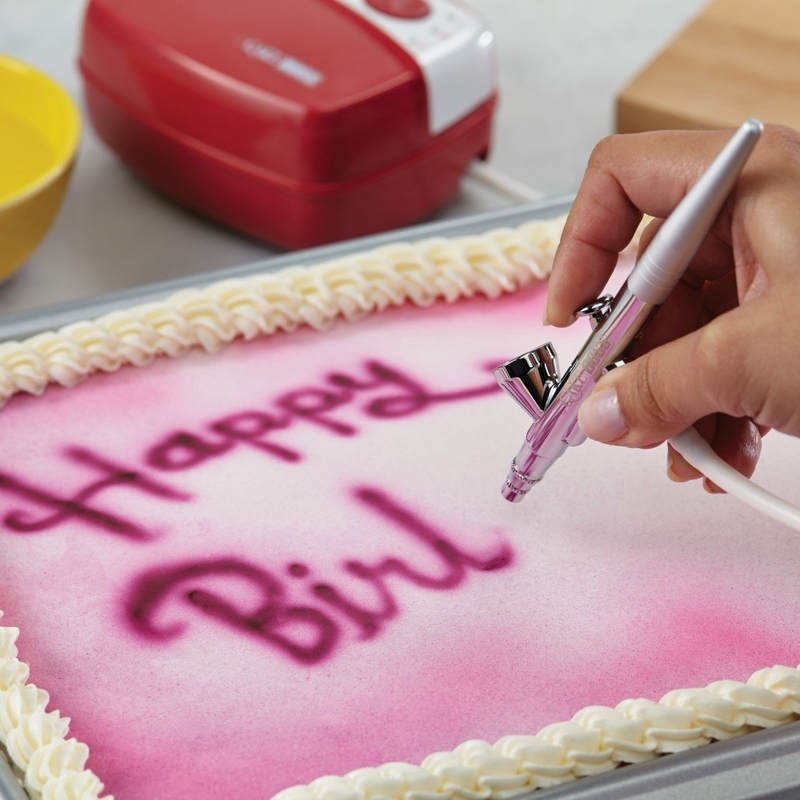 An icing smoother for making your frosted cakes look cleaner than your plate after you eat dessert. Features a comfort grip handle that makes it easy to hold. Before first use, and after each use, recommended to wash in warm, soapy water. Get it from Walmart or Jet for $7.97. 11. A bread maker you can also use to make cakes in! Give your kitchen the machine it not only needs, but truly deserves. 12. 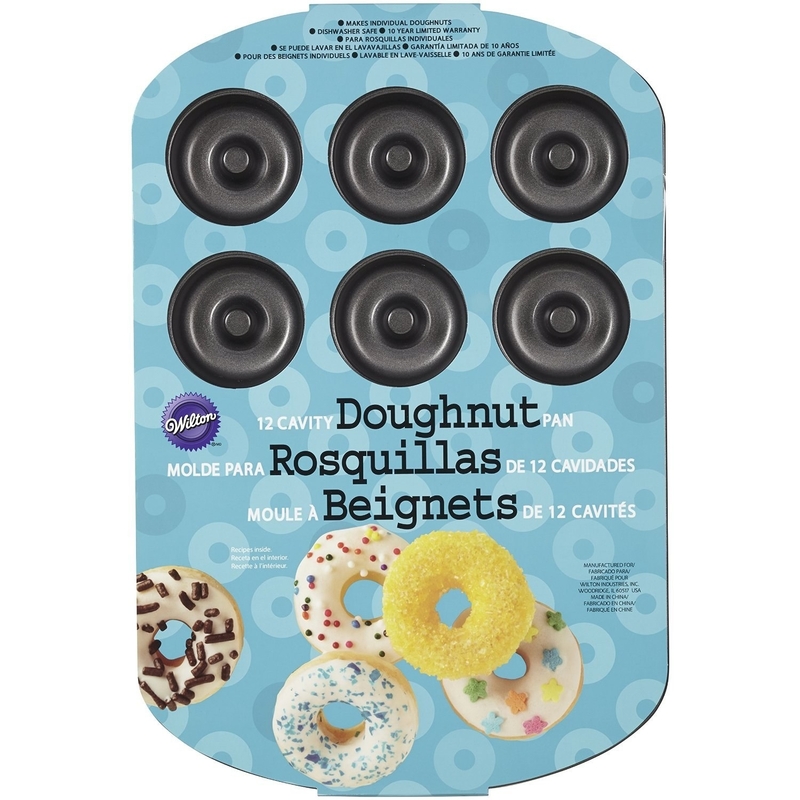 A pan that'll be a real shame if you donut buy yourself. Now that we've established you absolutely need this pan, what kind of donuts are you gonna make and send me?! Get it from Walmart or Jet for $9.99. 13. A three-piece glass mixing bowl set for adding some elegance to your kitchen (not to mention the fact that they're clear, making it easy to, ya' know, see what's inside 'em). Includes one 1.2 qt. mixing bowl, one 3 qt. mixing bowl, and one 4.5 qt. mixing bowl. The bowls are made from tempered glass, are nested and stackable, and are also microwave-, freezer-, and dishwasher-safe. Get it from BuzzFeed's Tasty line, exclusively at Walmart for $17.44. 14. 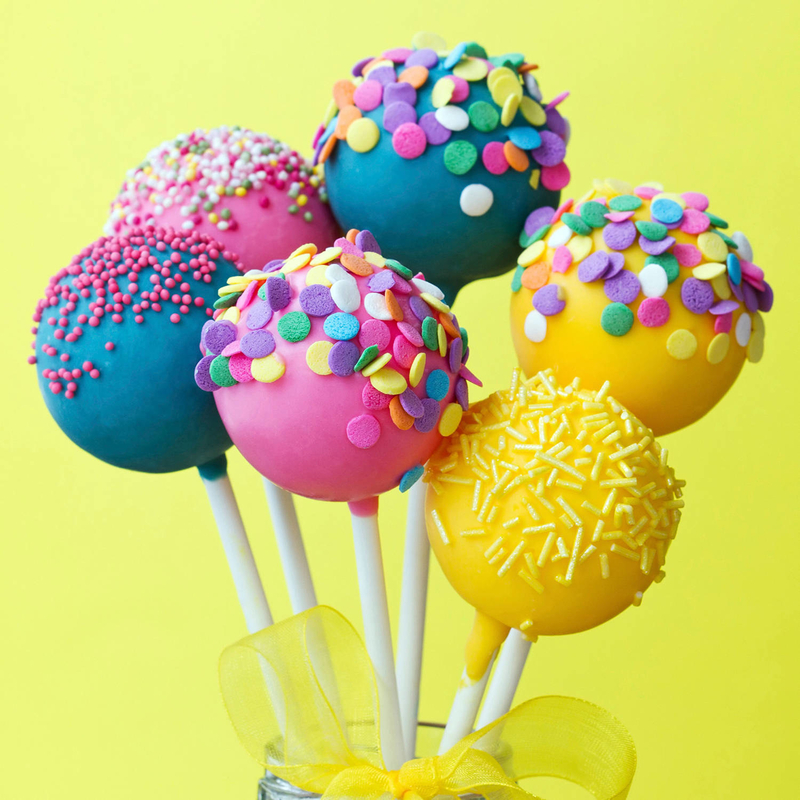 A silicone cake pop mold to whip up what science has proven is the most fun way to eat cake — OFF OF A STICK. Mold is made of food-grade silicone that is flexible and non-stick. It's reusable for up to 3,000 uses, is BPA-, PVC-, and Phthalate-free, has 24 cavities, can withstan temps between -40 to 446 degrees F., and is microwave-, oven-, refrigerator-, freezer-, and dishwasher-safe. Get it from Walmart for $15.25. 15. 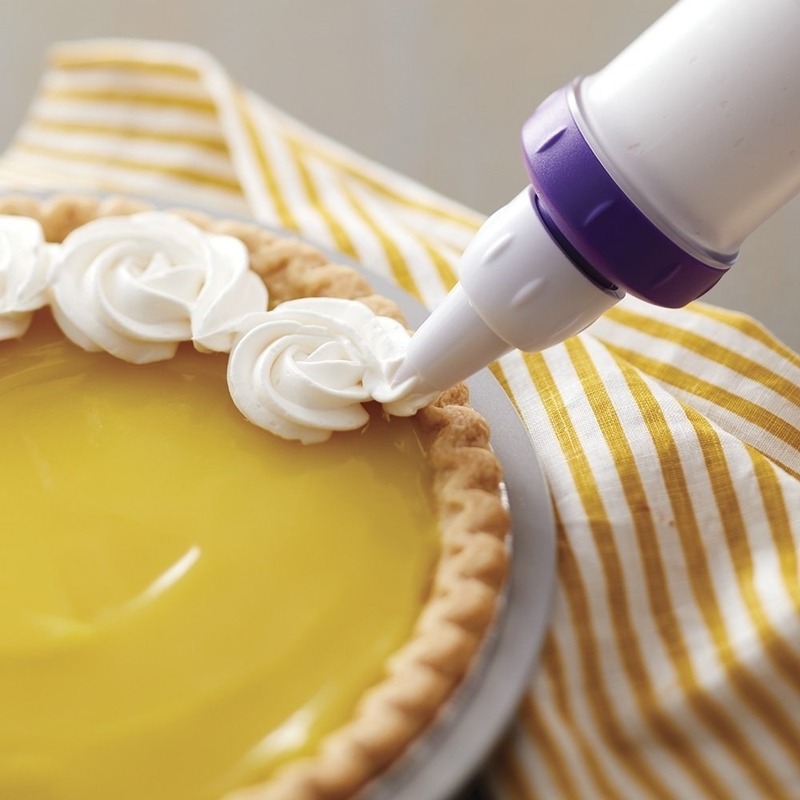 A non-stick baking spray with flour that'll ensure you get the whole darn dessert out of the pan. You're the one who should be eating it, not your bakeware! Get it from Jet for $2.19. 16. 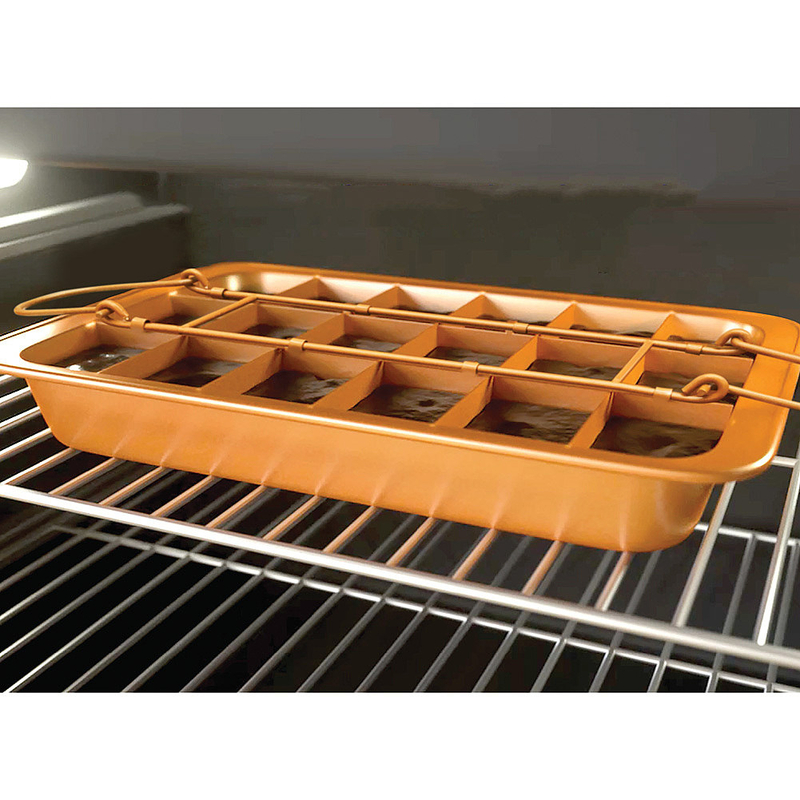 A three-tier cooling rack for allowing your baked creations to properly cool before storing or decorating them. Rack folds flat for easy storage and is made of BPA- and PFOA-free non-stick coating. Get it from BuzzFeed's Tasty line, exclusively at Walmart for $8.87 (originally $12.99). 17. A silicone pie crust shield to prevent overcooked and burned edges. Because no one wants to make their pie a la mode just to mask the taste of burnt crust. Get it from Walmart for $6.94 (originally $9.95). 18. 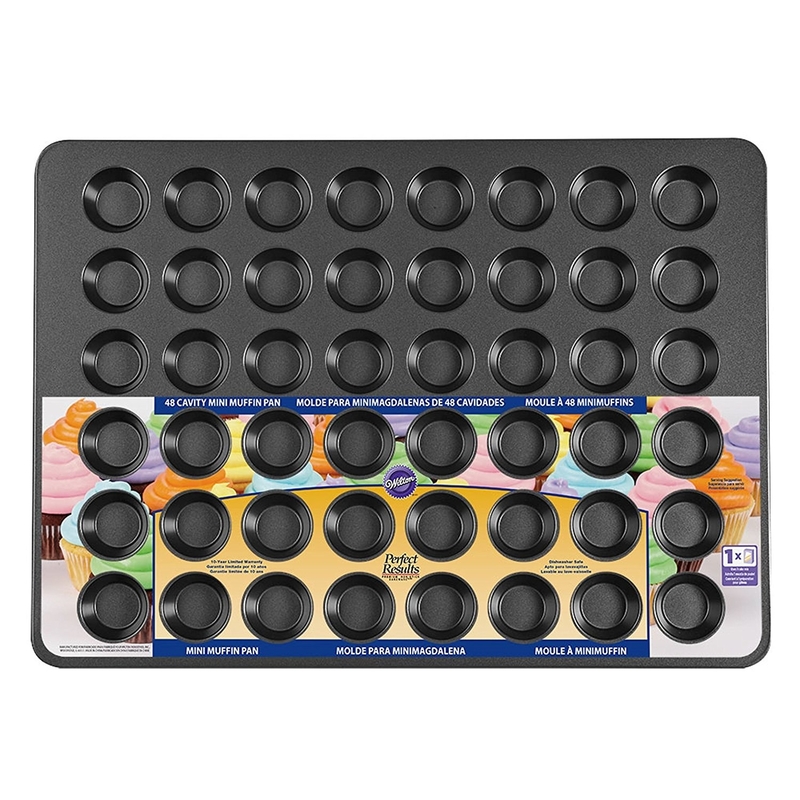 A 48-cup mini muffin tin that'll yield teeny, tiny versions of your favorite baked treats (such as muffins, cupcakes, or anything else you can think of getting creative with). Pan is non-stick for quick release and is dishwasher-safe! Get it from Walmart for $9.88 (originally $12.88). 19. 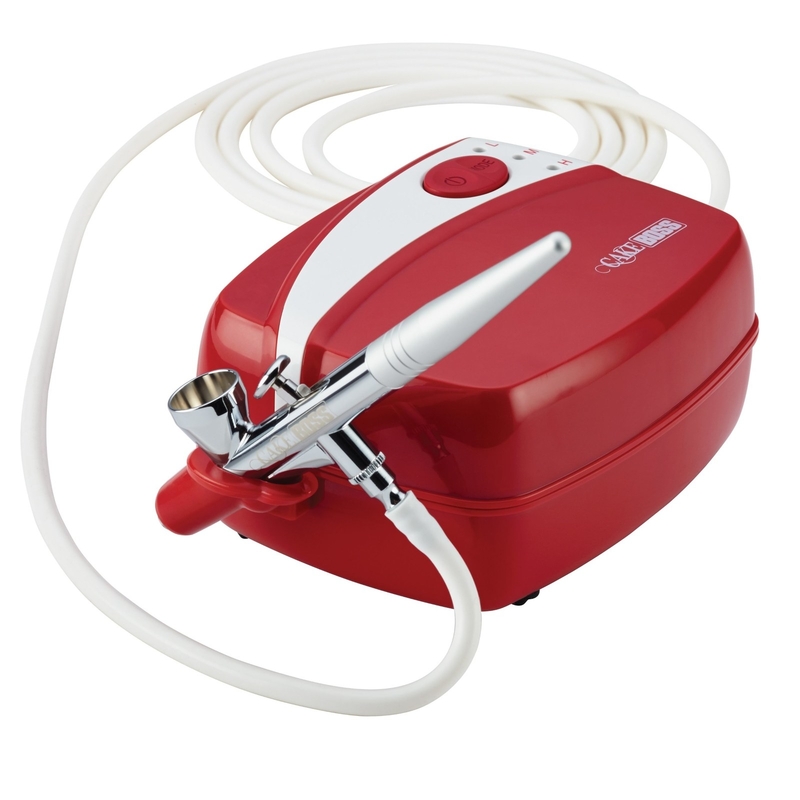 An airbrush decorator for upgrading your decorating game in the coolest, prettiest way possible. My birthday isn't for another seven months, but if you wanna make me an early bday cake with this, I wouldn't say no. Get it from Walmart for $55.50. 20. 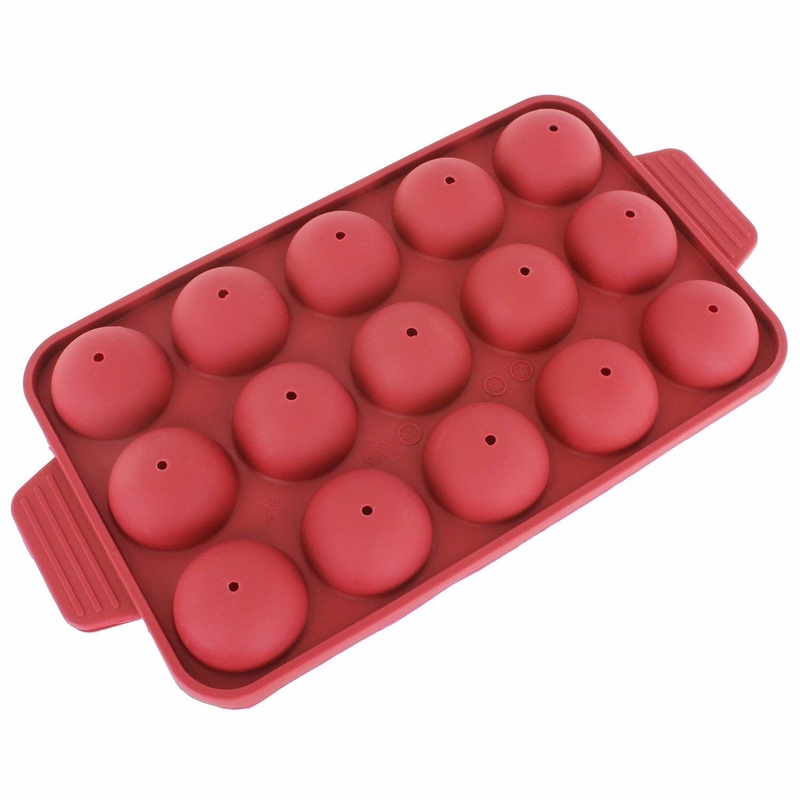 A 24-pack of silicone baking cups to bake in a greener way. Plus, they come in pretty colors and will save you so much money in the long run. 21. A three-piece cookie sheet set with four emoji cookie cutters that'll have you baking up a storm of smiley-faced treats. Set includes one small cookie sheet, one medium cookie sheet, one large cookie sheet, and four emoji cookie cutters. Carbon steel pans mean your cookies will bake and brown easily. These are made with non-stick coating and are BPA- and PFOA-free. Plus, they're dishwasher-safe! Get them from BuzzFeed's Tasty line, exclusively at Walmart for $8.97 (originally $13.99). 22. A three-piece cupcake corer set for taking the middle out of your baked treats so you can replace the cake with a delicious filling. You lose some, but you win a LOT. 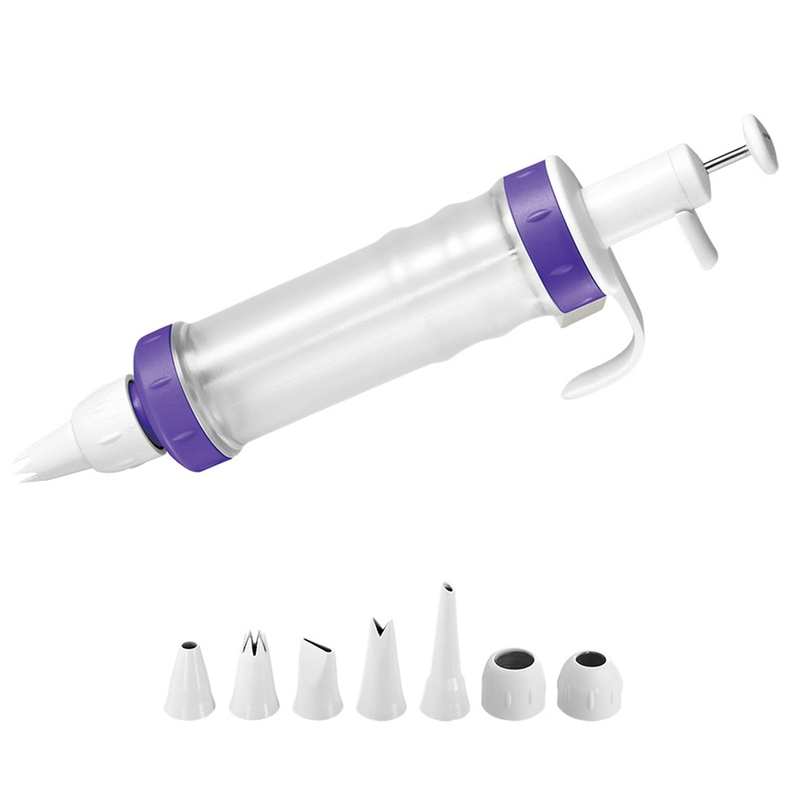 Includes one small corer, one large corer, and one ejector. Just inset the corer, twist, and remove the cupcake core! Get it from Walmart for $7.35. 23. 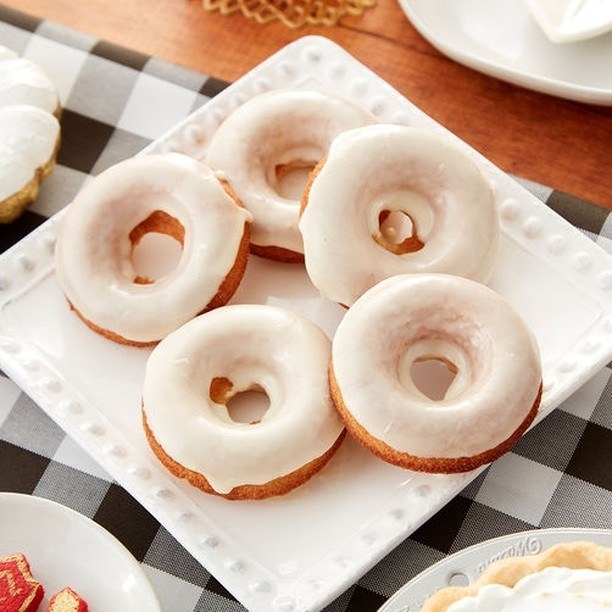 A six-pack of scalloped ramekins to eat miniature versions of your fave desserts in what is definitely gonna be the most gorgeous addition to your kitchenware collection. Made of durable stoneware that is dishwasher-, microwave-, and oven-safe! Get them from Walmart for $9.99 (originally $11.52). 24. A fondant smoother that'll get rid of bumps and little imperfections so you can show off a cake any celebrity baker would be proud of. Smoother is made from solid, durable plastic and features a wide, seamless handle for grip and control. The rounded edges smooth surfaces without dragging or leaving marks, and it's dishwasher-safe! Get it from Walmart for $3.82.